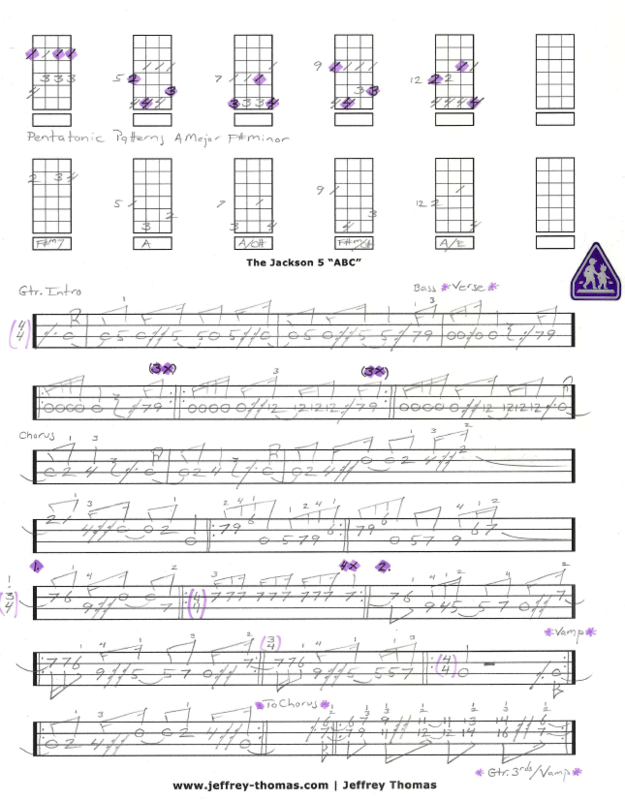 The Jackson 5 ABC Free Bass Tab by Jeffrey Thomas. Here you go! Free bass tab for the complete tune and all 5 A Major and F# minor pentatonic patterns. I have notated the guitar intro, tricky meter changes, verse, chorus and ending guitar lick in 3rds! This tune is another classic by The Jackson 5 and it’s very popular with my bass students. Want the full bass tab for free? Just send in your email using the form provided and I’ll sent it to you. Looking for online bass lessons? Fill out the Schedule A Free Lesson form to set up a free Skype bass lesson today! How can you not like this 1970 number one hit from The Jackson 5. Check out my site for more free online bass lessons on the tab, video and blog pages.